Driving lesson vouchers make an ideal Christmas or birthday gift for a learner or novice driver. If you have a family member or friend who you know wants to learn to drive, driving lesson vouchers could be the perfect gift to get them started. The Driving lesson gift vouchers can be used for any of our lessons courses or special offers. Driving Lessons are a perfect present – so why not give someone a driving lesson gift voucher as a present. They’ll love the idea of being able to drive and just think of the difference to their lives you’ll be making. 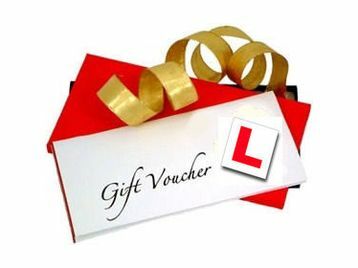 The driving lesson gift voucher will be delivered personally by your instructor. This will also give you the opportunity to ask any questions you may have in relation to the driving lesson gift vouchers or about the driving lessons in general.